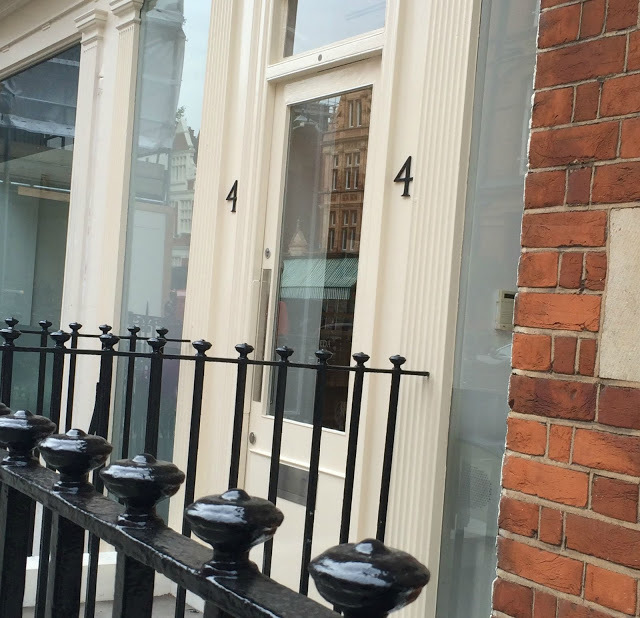 A year on from my last visit, I found myself back in the chair at no.4 Aldford Street in Mayfair in the amazing John Frieda Salon. A salon that I absolutely loved the first time I visited and even more so now after my second visit. Why do I love it so much? To be honest it is the atmosphere inside the Salon. Set back from the busy shopping streets of the West End, what looks like a snug little salon is so far removed from that, it is actually quite big. But big doesn't mean too in your face, it isn't crowded and they have certainly made use of the space, it is comfortable and you are made to feel like one of the family. Everyone in there knows their stylist, the girl washing their hair, the lady who so kindly takes your coat to the receptionist who takes your name, you are more than just a customer, you are a friend. Sitting down with Andreas, who was to sort my hair out, he didn't look too perplexed when I said 'I don't know what to do with this, what do you suggest' meaning my hair. Seconds later, I am in a rather comfy chair having my hair washed chatting about current affairs and London Fashion Week. I love having someone wash my hair, if I won the lottery this is the kind of treat I would gladly pay for. At John Frieda my hair was washed, conditioned, my head was massaged and I managed not to fall asleep...just! Back in the chair and Andreas and I continue chatting about life, politics and weddings as he gets to grips with my unruly hair. I have fine hair but a lot of it, a phrase I hear a lot and one I repeat a lot. It means I have lots of hair on my hair which is fine and it is naturally wavy and I never really know what to do with it. You should never be afraid to ask your stylist for hints and tips on what to do with your hair and how to do certain things, even washing your hair is a handy tip to have. My hair is now shoulder length, it is manageable, it is a delight to style and I just love that the very few layers that have been added give my hair some movement and that swishy feel when I am ready to go out. My highlights grew out some time ago, so some roots have begun to appear but for now, I am totally chuffed with my hair. John Frieda for me is more than just an experience, it is everything a salon should be and I can see why everytime I am fortunate enough to go that the regulars in there keep coming back, it is just so friendly, warm and welcoming and nothing is ever too much trouble. Your new hair do looks great! I haven't been to a really good hair dresser in ages, it really does make all the difference. I've not actually visited a John Frieda hairdressers before but I love their products and seeing your hair, I can imagine how great they must be! It's great when salons make you feel that relaxed. They did a lovely job on your hair. Going to the hairdressers is such a treat isn't it! They did a good job, your hair looks great! I've always wanted to visit one of these, but I very rarely go to the salon! Your hair looks amazing, I love the haircut. Fab! Your hair looks so nice! I love sharp ends, they look so neat and tidy! It looks fabulous - I really need a new haircut! Your hair looks fab! You cant beat a good pamper at the hairdressers!